A few weeks ago my husband and older kids attended FanX, our local comic convention. As he was preparing for the convention he asked me to make a couple of shirts for him to wear. 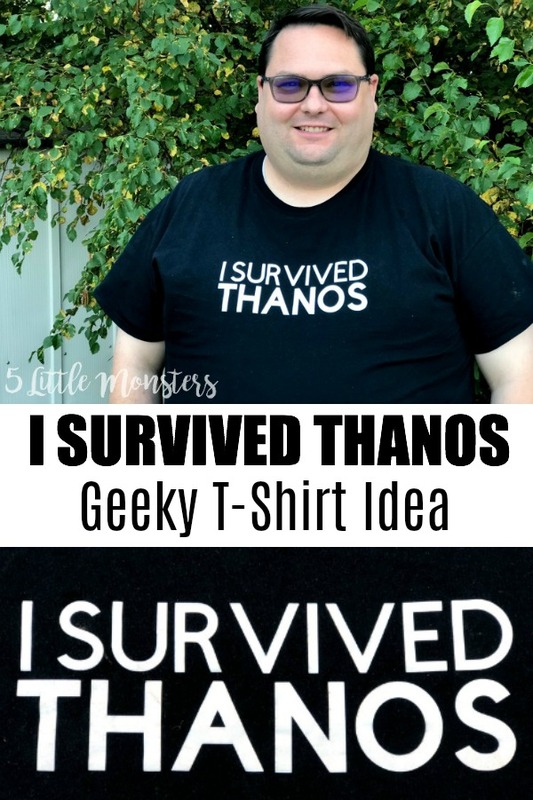 One of the shirts that we made got a lot of comments so I decided to share it here. One of the days that he was there he spoke on a panel about Marvel movies. 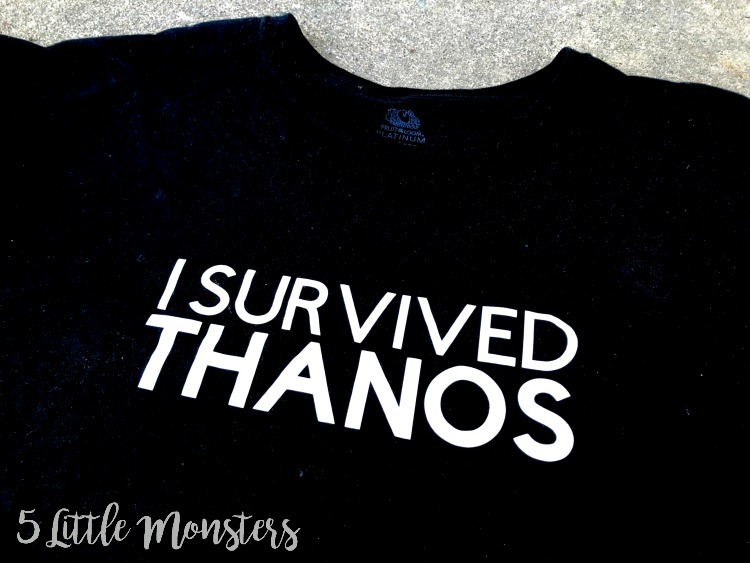 We thought a Marvel movie themed shirt would be fitting and we talked about a few options and ended up deciding on one that was very plain and simple, a black t-shirt with white words on the front that said "I survived Thanos". 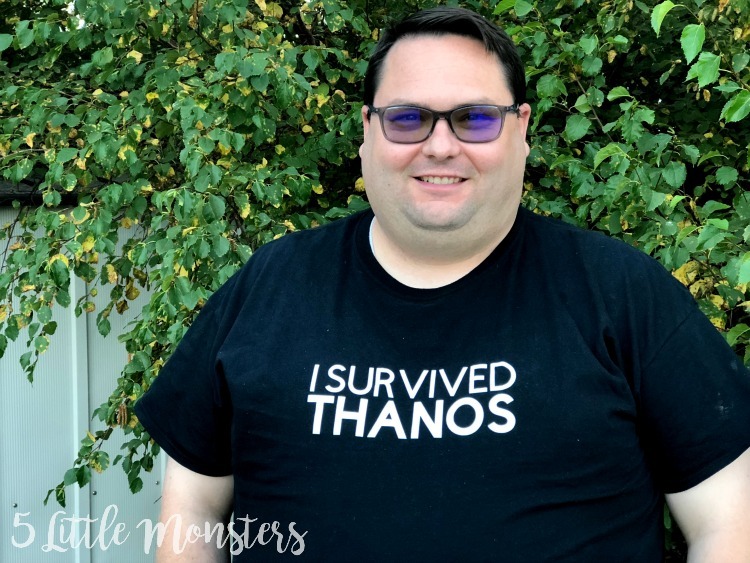 I hadn't intended to share any of the shirts that I made for FanX on my blog but after seeing how many people commented on his shirt I decided to go ahead and share this one. 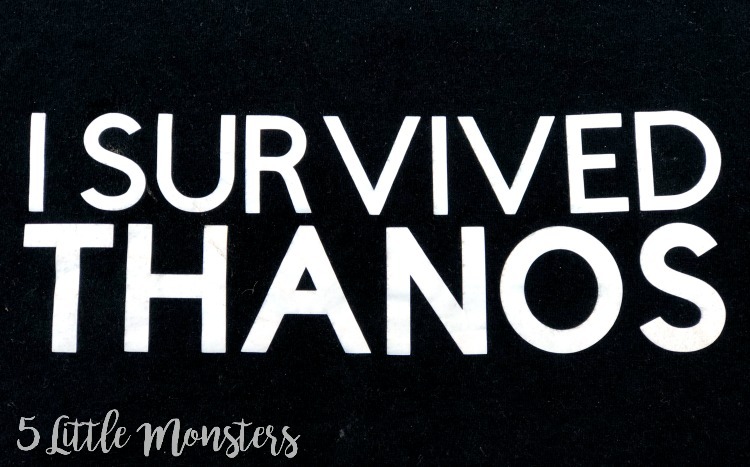 It really quick and easy to make, just white iron on pressed onto a black shirt.